On May 14, Michael D. Flint of Freeman Mathis & Gary LLP aced the second hole at the Atlanta National Golf Club during the PLUS Southeast Chapter Golf Tournament. His fantastic shot was on a prize hole, and as a result Mr. Flint won $10,000! 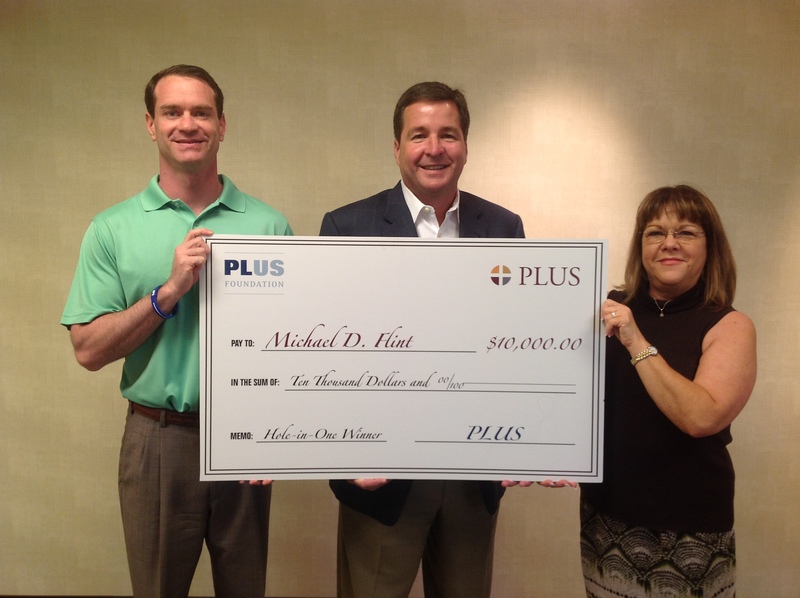 Congratulations to Michael, and the other 70 golfers who took part in this great event, a fundraiser for PLUS Foundation. Congratulations to Michael Flint (center), pictured with SE Chapter Golf Chair Brad Adler (left) and PLUS SE Chapter Chair Dale Borer (right). This entry was posted in Chapters, PLUS Foundation and tagged Golf, Hole in One by plushq. Bookmark the permalink.